Baldwin during last September’s Portugal Masters at Dom Pedro Victoria Golf Course in Vilamoura, Portugal. The Englishman, 33 later this month, lost his European Tour card last season so intends using the MENA Tour’s five-event “spring swing” to tune up for the second tier Challenge Tour season. First things first though. Even a player with a game previously proven in the cauldron of major championship weekends has to negotiate the regional developmental tour’s new two-stage Q-School. Baldwin has made a good start to the 54-hole category B qualifier back at Ayla Golf Club in Jordan, an opening four under 68 earning him the overnight lead in Aqaba by one from Czech Daniel Suchan and Englishmen James Allan and Jacob Oakley. Given his pedigree, it will be a major surprise if Baldwin doesn’t collect one of the 30 MENA Tour cards come Tuesday evening and move swiftly on to the $100,000 regular-season opener, also at Ayla, starting on Friday. He has every incentive to perform well in the first five events in Jordan, Ajman, Oman, Dubai and Bahrain given the incentives on offer in the spring swing. The order of merit leader after Royal Golf Club in Bahrain come March 14 will earn an invite to the European Tour’s Maybank Championship at Saujana Golf and Country Club in Kuala Lumpur from March 21-24. Indeed, the top five players on the money list at the halfway stage will be rewarded; the second placed player will tee it up in the Trophee Hassan II in Morocco from April 25-29, the third-placed player earns automatic entry into the new Jordan Mixed Open at Ayla G.C. from April 4-6 while the fourth and fifth players will be headed to the Asian Tour’s Indonesian Masters from July 4-7 and Indonesian Open from Aug. 15-18 respectively. “I’ve got a full Challenge Tour status so I’ll be playing that for the bulk of the year and hoping to take advantage of a couple of European Tour starts such as Kenya and Austria,” Baldwin said after his 68. 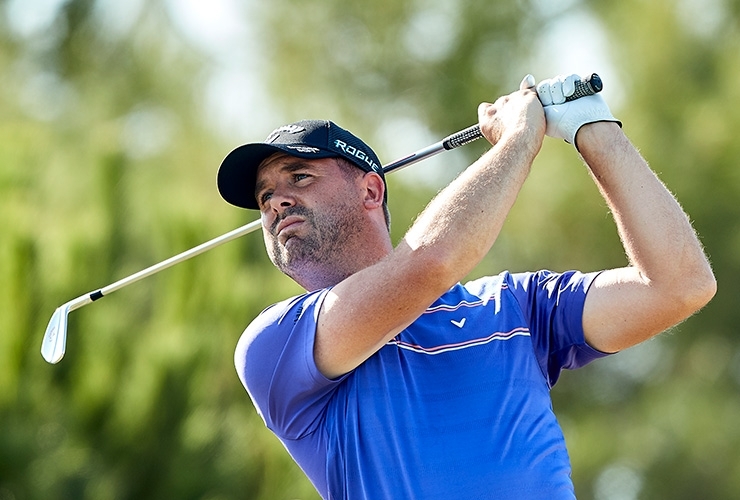 Baldwin turned pro in 2008 and has been a European Tour regular since 2012 after claiming his maiden pro win at the Challenge Tour’s Fred Olsen Challenge de España the previous year. He savoured a sensational rookie year on the main tour, finishing 72nd in the Race to Dubai standings with €372,786 but much richer for the experience of making the cut at the U.S. Open (T-59) at Olympic Club and the 141st Open Championship (T-23) at Royal Lytham & St Annes, a first major title and second claret jug for Webb Simpson and Ernie Els respectively. Baldwin’s best year on tour came in 2014 when he finished 59th with €561,347, highlighted by T-3 and T-5 finishes at the Irish Open Open de France, the latter for a career-best payday of €116,100. Last season was more of a grind, however. There was a T-10 in Doha and a 9th placing at the Belgian Knockout but he finished 164th in the season-long Race to Dubai with just €141,569 before dipping out at the second stage of European Tour Q-School. Meanwhile, UAE professional Ahmed Almusharrekh carded a 75 to be T-31 overnight In Aqaba. The top 42-players and ties will survive Monday’s 36-hole cut before the final 18-hole sprint for the 30 tour cards. “I had a solid start going level through 16 with a disappointing finish but I’m well in the mix. Hopefully, I can get below par in the next couple days,” said Almusharrekh. 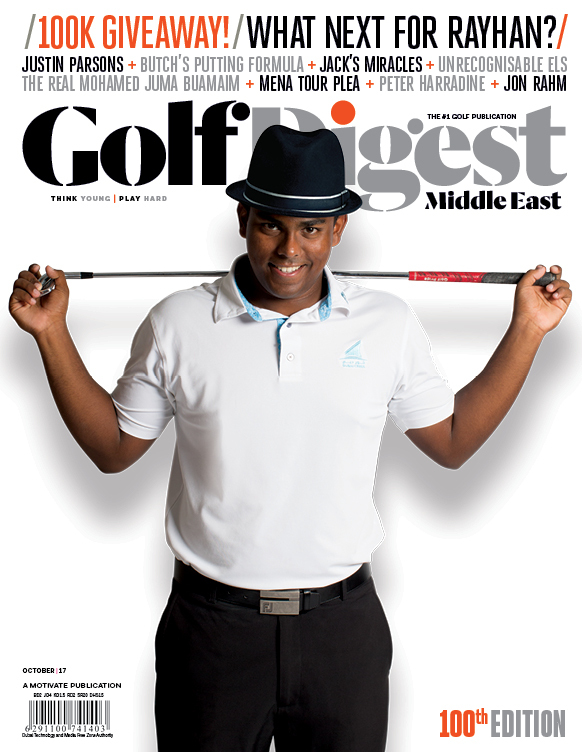 Emirati Abdulla Al Qubaisi is the best of the nine amateurs in the 66-player field after the opening day, T-38 after a 65. It was a tough day for the MENA Tour’s trumpeted “Three Musketeers” with teens Toby Bishop, Josh Hill and Arjun Gupta all left with work to do after signing for eight over par 80s and a share of 54th place.